No one knows what it’s like to retire from a lifetime of teaching better than other retired teachers. We at IRTA know the level of dedication you put into your students. The specific challenges that teachers face in retirement. We work together to protect your pension, offer benefits, promote education and meet new friends. We offer three opportunities to connect - as a Regular Member, Lifetime Member or Associate Member. You will value our excellent member benefits; and you will feel part of a special organization that represents your best interest and promotes education excellence in Indiana. Come be part of something special. 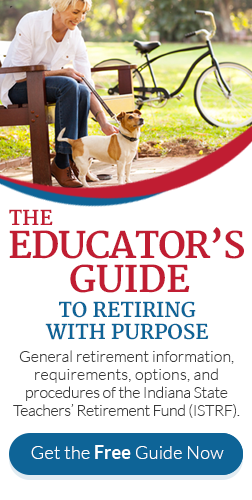 To be eligible you must either be a retired educator from Indiana, or be the beneficiary of a retired educator, who is receiving a pension from the Indiana State Teachers' Retirement Fund. Access to all benefits and special discounts. Access and invitations to special IRTA programs. One vote at the IRTA Annual Conference. A voice in the General Assembly on matters pertaining to your pension. A subscription to the quarterly newsletter, The Bulletin Board. $35 per year, billed annually. $90 for three years, billed once. $140 for five years, billed once. We welcome active educators, spouses of retired teachers and others not receiving an educator's pension to join as an associate member. A new dues plan was adopted on July 1, 2018. Qualification for our Active Teacher Grants that are awarded in each of our 10 Areas. $15 per year, billed annually. Your dues can be paid check, money-order or on our secure website. You may also have your dues deducted from your pension check each September. After payment, you will receive a membership card, valid for one year. Forms submitted after this date must include a $35 payment.